Back in October (17th-18th infact) I had the opportunity to be part of the team operating as 2SZ marking the 90th anniversary of the first ever radio contact from the UK to New Zealand, back then the operator was Cecil Goyder who was at the time a pupil at Mill Hill School in north London which actually happened on the 18th of October. 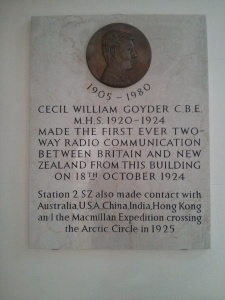 To mark the 90th anniversary Ofcom re-issued the call sign 2SZ to be used for the historic celebration during the period of 11-18 October 2014, which certainly got the attention of radio amateurs and the media alike with some impressive pile ups and some inquisitive questions about the call sign. To mark the historic day on the morning of the 18th October, several media channels provided coverage from UK (BBC) & New Zealand to document the QSO between 2SZ and ZL4AA who was located on a sheep farm in Otago. As the operation was a week long it allowed school pupils to come along and visit the station and pass greetings messages and ask questions about the hobby. 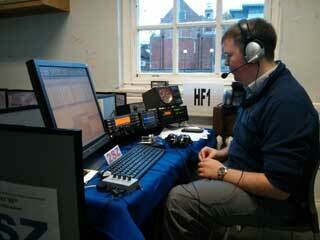 Even so over the week along period 13,248 QSOs were made on HF 80-10m. Behind the Scenes at 2SZ October 2014 from Jim Lee on Vimeo.